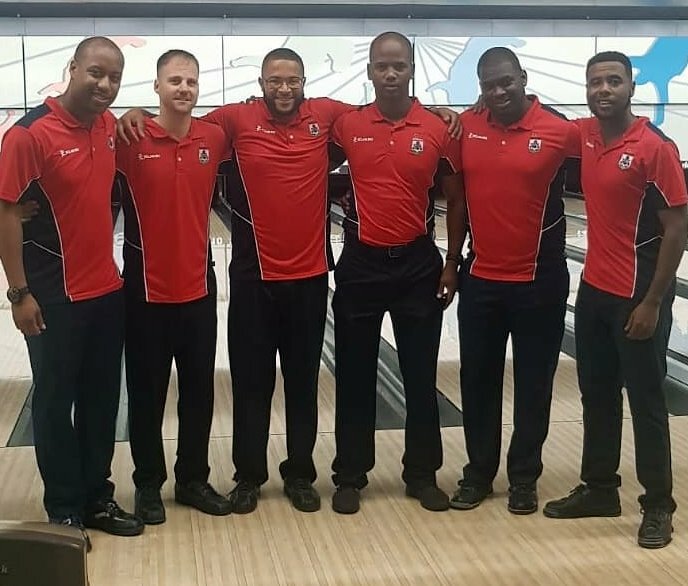 Damien Matthews, Lamar Richardson, Dennis Joell, Rickai Binns, Akeem Talbot and David Maycock made up the Bermuda team competing World Bowling Championships in Hong Kong have all but finished. As www.islandstats.com has been bringing you coverage every day of the teams progress, today we bring you the Bermuda Players All Events Overall Standings. Maycock led the Bermuda team finishing 77th overall with 4,164pins at an Average of 198.33 per game. Binns finished 93rd with 4,115 pins. Matthews finished 149th with 3,970 pins, while Richardson finished 178th he had 3,880 pins. Joell had a total of 4,052 pins and finished 254th and Talbot finished 258th with 3,494 pins.